Dodge bullets on the go! Sine Mora EX, the extended version of a game about fantasy airplanes and also bullets, is already available for nearly every type of gamer. Luckily, "nearly" just isn't good enough for the folks at Grasshopper Manufacture, which is why they'll be bringing the bullet hell shooter to the Nintendo Switch on September 26th. The original Sine Mora was quite the critical success when it originally arrived in 2012, so it makes perfect sense for its creators to want to extend its lifespan as long as possible. The EX version was released just last month on PC, PlayStation 4, and Xbox One, and the Switch version should round out the release schedule nicely. 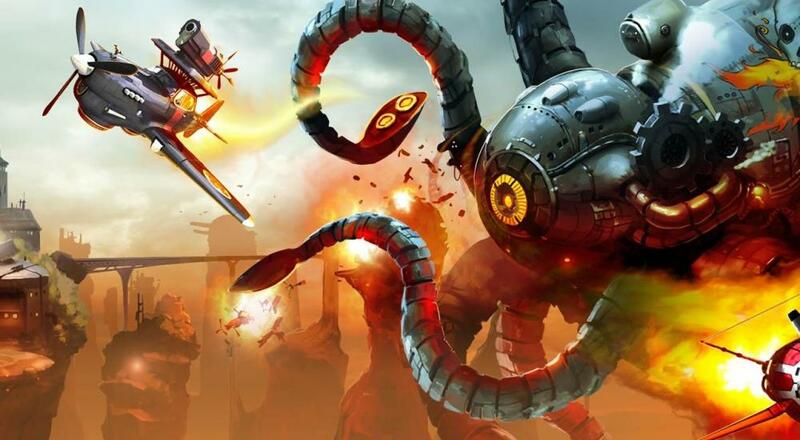 Sine Mora EX features local co-op for two players throughout the game's campaign. It also allows for a few versus modes, but we'll just pretend those don't exist. Interestingly, the story mode follows a relatively complicated plot, and while it wasn't particularly well received upon initial release, I'm curious to see if the appetite for that sort of thing has changed at all since the days of Xbox Live Arcade.